The spirit of determination has served us well, reason why our manufacturing unit is one of the largest of its kind in Asia. 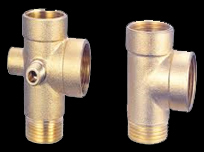 Our total assurance to quality has seen Shiv-Om Brass Components export around the world. 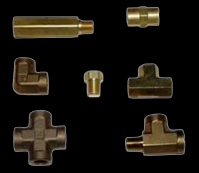 Electrical Accessories, Earthing Equipments, Lightning Protection Systems, Copper and other Ferrous & Non Ferrous Metals are part of our product range that is sold under the Brass Components brand. Progressing with our continuously increasing yearly sales, it is obvious our philosophy to please the customer with quality products and competitive price is being achieved; we welcome you to join us in this growth story and have a symbiotic relationship. Our culture, mindset and attitude enable us to contend successfully in the world market place. We at Shiv-Om Brass believe that the search for excellence is a continuous process and our achievements are purely milestones in the long journey. 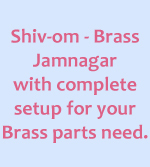 Shiv-Om Brass is known for its excellence in Quality, Delivery and Prices. We are always enthusiastic to serve our customers in a better way and apply new thoughts to improve our quality. We very sternly abide timings given to our customers. 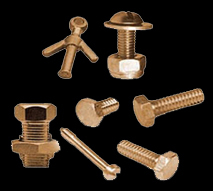 Brass Parts exporters from China, Taiwan, Turkey, South Korea, USA, UK, Europe, Australia. 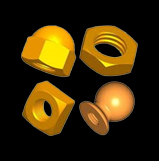 Low maintenance and precision machined for optimum performance. High in performance and easy to operate, these press are available with additional safety features. We offer heavy duty, ergonomically designed deep drawing machines for lasting performance. We offer large platen hydraulic press, which are designed for peak performance..
We offer latest models of injection moulding machines at the most competitive rates. We offer superior quality vacuum moulding presses for Rubber, Silicone & Composite materials. We offer high performance plastic injection moulding machines for faster moulding cycle. Stable and robust, our hydraulic cylinders and jacks are recognised for quality, reliability & performance. We offer the best in class SMC moulding press, which are designed to cater to diverse industrial needs. We offer easy to operate, hydraulic press brakes that are at par with international quality. Avail highly reliable shearing machines designed for optimum operational. Technologically superior, compact in size and classic designing, these are some of the features of our range of hydraulic straightening presses.